Pumpkin. Some of us can never tire of that word. It signifies the start of Fall and everything cool and beautiful. 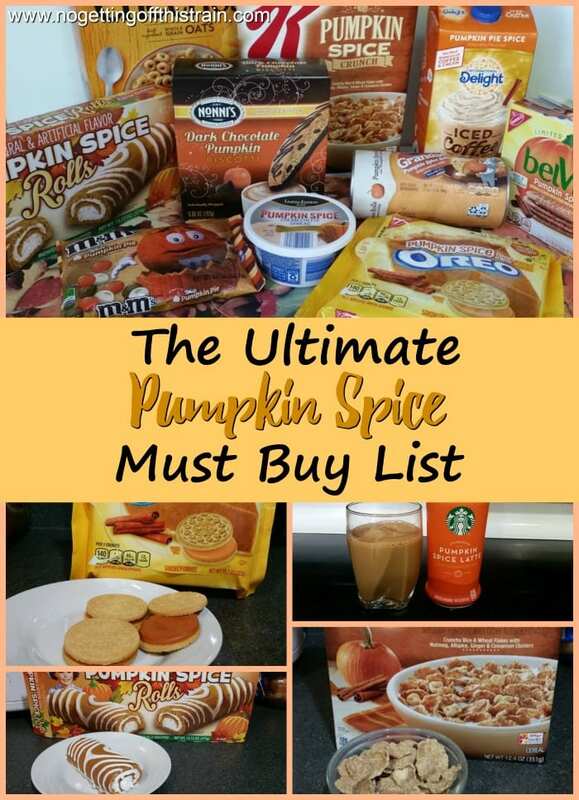 Companies have also realized our obsession with pumpkin and pumpkin spice, because they’re coming out with pumpkin spice EVERYTHING. And what’s a bored mom to do but try as many as she possibly can? If you’re as addicted to pumpkin spice as I am, you’ll appreciate the different kinds of foods you’ll see below. This is not an all-inclusive list of what’s out there; but I’ve covered the basics and plan to try more! 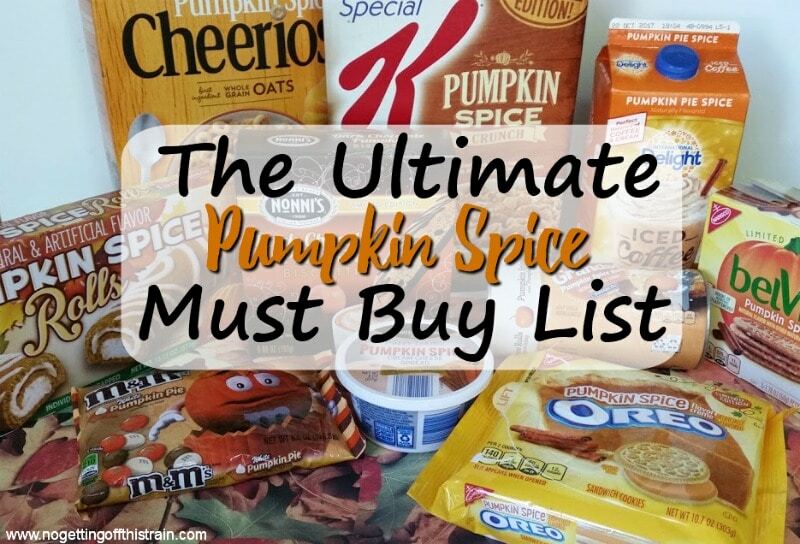 Here is my ultimate pumpkin spice must buy list, with pictures and reviews to get you in the Fall spirit! Pumpkin Spice Cheerios: I heard these were all the rage in 2016 and never got a chance to try them. These are incredible! The box says these are made with real pumpkin puree, and they have just a hint of that pumpkin flavor. I like eating cereal more as a snack instead of for breakfast, so these are also good if you just want a late-night snack. 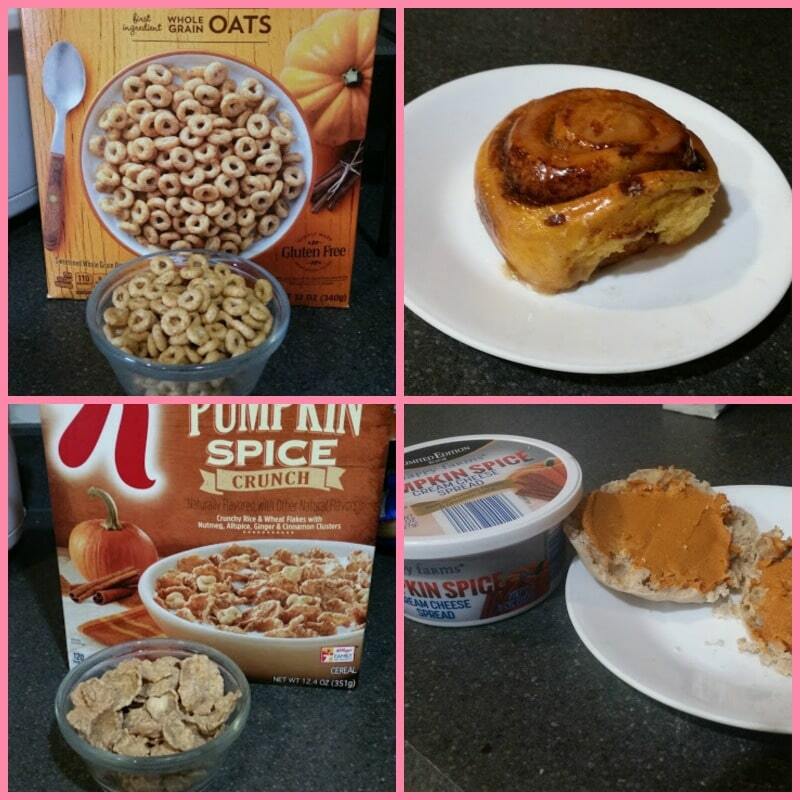 Special K Pumpkin Spice: These were actually really good! The little soft pieces were the perfect complement to the crunchy cereal, and this had more of a pumpkin flavor than the Cheerios. Pillsbury Pumpkin Spice Cinnamon Rolls: These were a special treat! I don’t eat cinnamon rolls often because they don’t fill me up. The cinnamon rolls themselves didn’t have much of a pumpkin flavor, but the icing was a pumpkin explosion! For $3.99 for 5 rolls, it’s a tad expensive, but good for special occasions. Happy Farms Pumpkin Cream Cheese: Aldi is where I do my usual grocery shopping, so when I saw this, I knew I had to try it. It’s a dark brown color, which might be off-putting, but the taste is incredible! If I can get my hands on some pumpkin spice bagels, it’s all over. 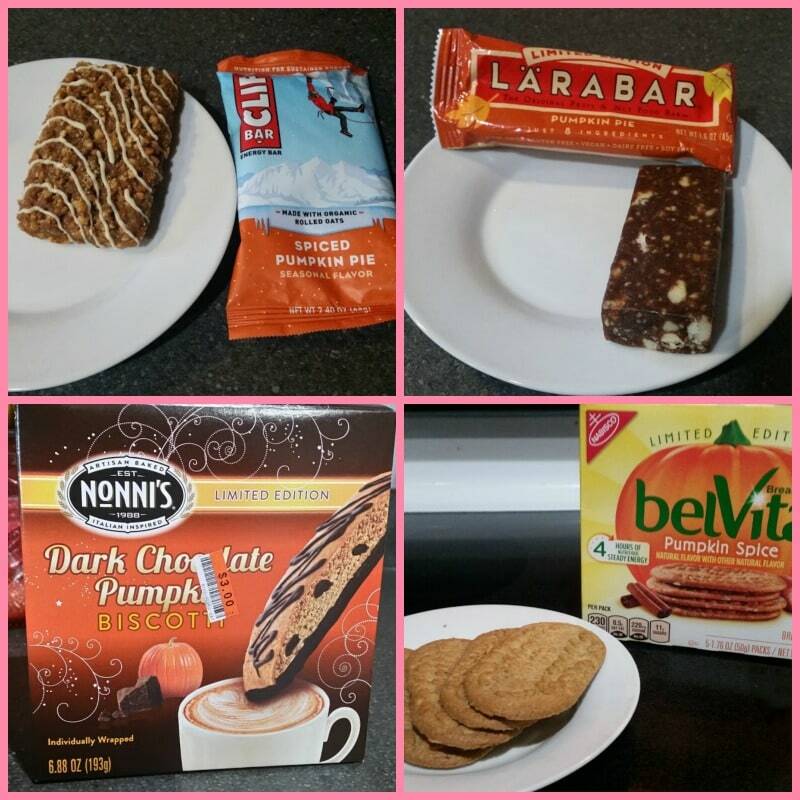 Pumpkin Clif Bars: I love Clif bars, even though they’re a tad high in calories for a regular snack. This had a really good pumpkin flavor, and not a bad deal for $1.00. Pumpkin Pie Larabar: I’m a big fan of Larabars because they’re made with few ingredients. This Larabar had a hint of pumpkin flavor and wasn’t extremely sweet, but it was still really good! Nonni’s Pumpkin Dark Chocolate Biscotti: I only recently discovered how amazing biscotti is with a cup of hot coffee. When I saw this box at Big Lots, I knew this was how I had to start off my Fall pumpkin kick! It was $2.50 for a box of 8, and makes for a great afternoon snack with your coffee. Belvita Pumpkin Spice Breakfast Biscuits: I really like Belvita’s softer protein biscuits, but these crunchy ones are good, too! Each package comes with 4 biscuits and they’re really good for a morning or evening snack. These don’t have much of a pumpkin flavor; they tasted more vanilla-y than anything else, but they’re not bad! Little Debbie Pumpkin Spice Rolls: I have to be careful keeping these in the house, because I could easily eat the whole box. They’re creamy, soft, and totally pumpkin-y! These were $2.00 a box and a really good deal. Pumpkin Spice Oreos: Not even kidding, I think these Oreos are my top favorite pumpkin item this year. I could only find them at Target and are worth the $2.99 price. All the pumpkin flavor is in the cream, and it’s hard to stop at just one. Pumpkin Pie M&Ms: I thought I would love these, but actually, they’re just okay. They definitely have a pumpkin flavor, but there’s something a little off about them. I definitely prefer the Oreos. 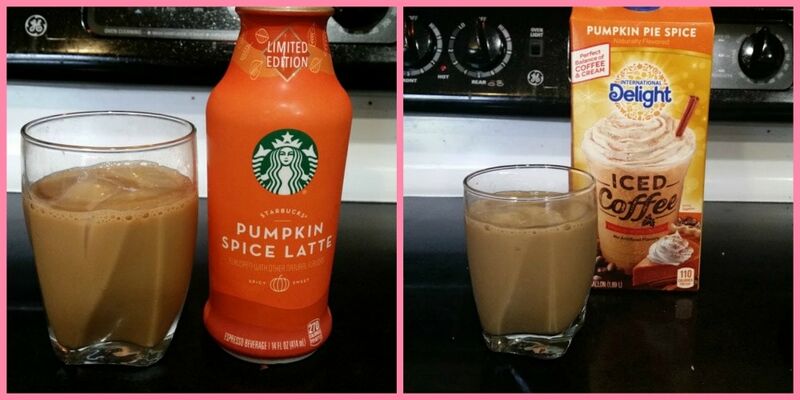 Starbucks Pumpkin Spice Latte: Starbucks has some of my favorite coffee and I was super excited to see this at the store! It was $2.50, which was a little expensive; and the whole bottle was 270 calories. I ended up splitting it into two servings. The drink itself is awesome, though! It’s got a huge spice-y flavor and a hint of my favorite Starbucks coffee. International Delight Pumpkin Spice Iced Coffee: If Starbucks costs too much for you, this is a fairly good substitute! I paid $2.99 for this, but it has 8 servings at 110 calories per serving. It’s a bit sweeter than the Starbucks drink and has a milder flavor, but it’s still good. You can get a couple of these, and more, through Prime Pantry if you have an Amazon Prime account! It’s a flat $5.99 shipping for whatever you can fit in the one box, and some items will qualify you for free shipping. 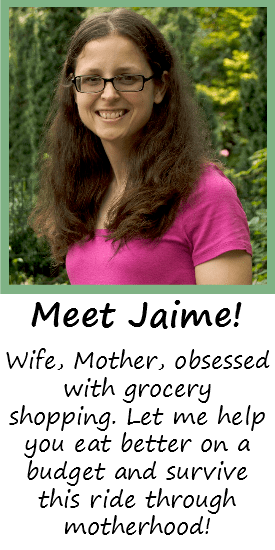 I did this a few weeks ago with a $5.00 credit I had and got some yummy snacks! Click here to sign up for a 30-day free trial of Amazon Prime, which includes Prime Pantry! Did you even realize that some of these existed? The Starbucks latte is new, as well as the Special K cereal, and both are amazing! It was rough subjecting myself to all this pumpkin goodness, but I powered through in the name of science. What pumpkin items are you most excited to try this year? Share in the comments below! Skinny Pumpkin Spice Frappe- Easy Coffee Recipe! I love this post…you got to eat all these pumpkin goodies FOR SCIENCE! 😉 Those biscotti sound killer, I’ll have to keep my eyes peeled for them.